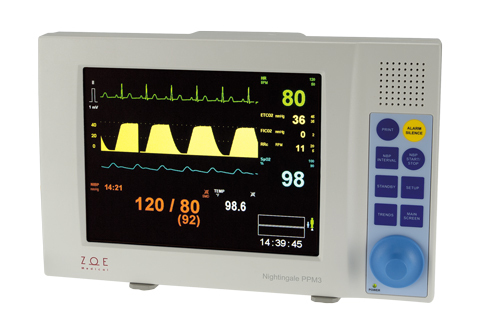 We have just certified the PPM 3 Nightingale line of vital sign monitors from ZOE Medical. The PPM3 is a lightweight, full featured vital sign monitor with a bright display. Weighing in at only 4.5 pounds, it is ideal formobile oral surgery/anesthesia applications. 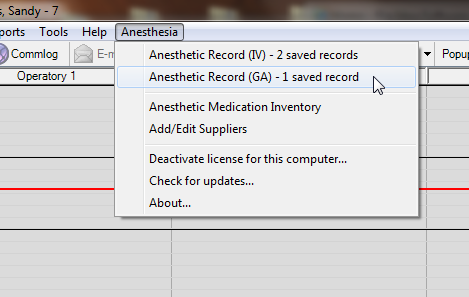 Anesthetic Records may now be signed digitally, with a Topaz signature pen, or manually with a mouse or other input device. 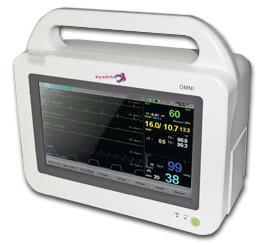 Big Idea Software is pleased to announce that we have certified the Omni line of vital sign monitors for use with automated import of vital signs into our anesthetic record. Certified monitors include the Omni and Omni K. Importable parameters include BP, MAP, HR, RR, SpO2, EtCO2 and Temp. Prescriptions may now be grouped together for easy printing on a single sheet of paper. Up to four prescriptions can be added to different prescription groups that you design based on your practice's needs. Complete instructions on how to setup and use grouped prescriptions may be found here. 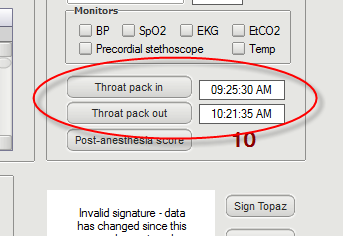 We've added buttons to record throat pack in and out times to both anesthetic records. 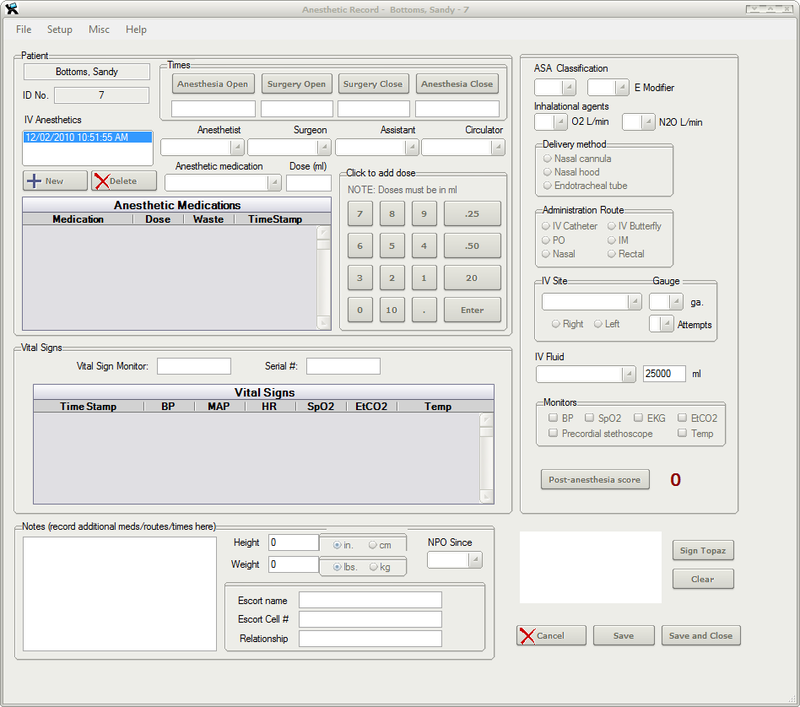 The change will be available in OD Version 11.1.x, which should be released as a beta within the next several weeks. You'll need to have upgraded to Open Dental 7.9 first in order to see these changes. 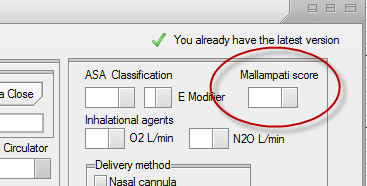 1) Click on 'Check for updates' from the Anesthesia menu item on all workstations were EASy is installed. The latest update will automatically download and install. 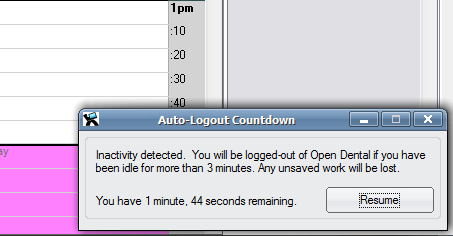 2) When Open Dental reopens, upgrade Open Dental to 7.9.1 by choosing Help > Update from the main OD toolbar. Do this from the server. 3) Close and then reopen Open Dental. Query for medications delivered over a certain date range. I've added a mySQL query to generate a list of all anesthetic medications delivered to patients over a specified date range. Just copy the query over to Reports > User Query in Open Dental and modify the dates. The entire query is posted over in the Forum. 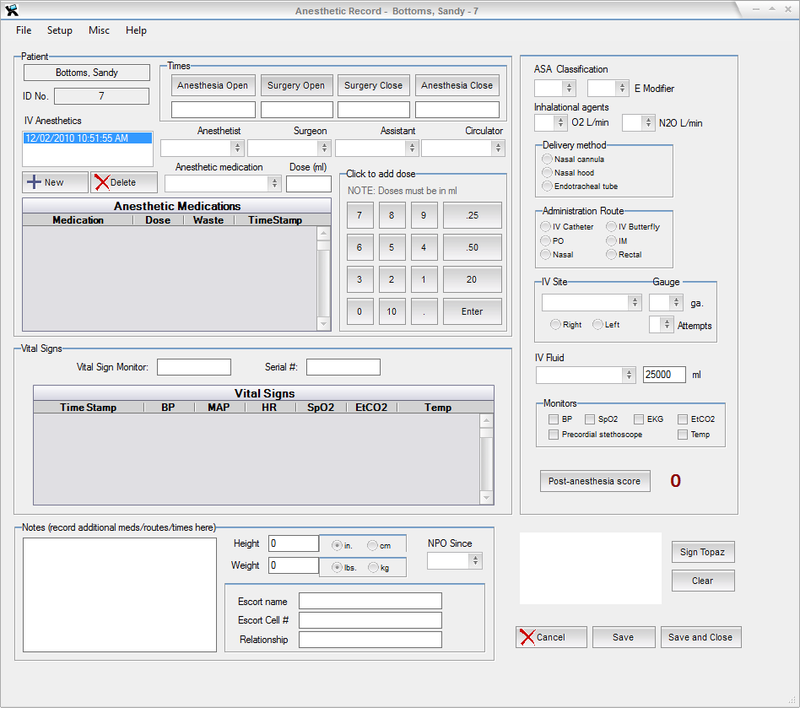 The ability to record inhalational agent start and stop times, ventilator start and stop times, and specifics of intubation has been added. 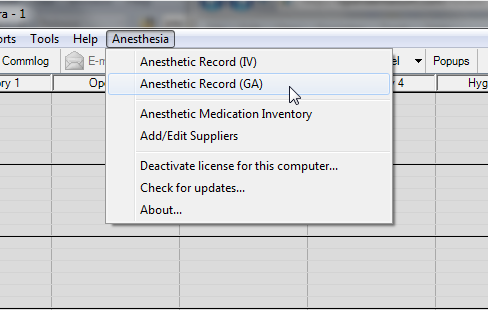 General anesthesia records are available starting with Open Dental 7.7 and higher. 4 new skins added to version 7.7 of EASy/TimeOut! These skins are available for versions of EASy and TimeOut! compatible with OpenDental 7.6 and above. To add them, just click 'Check for Updates' in either program. 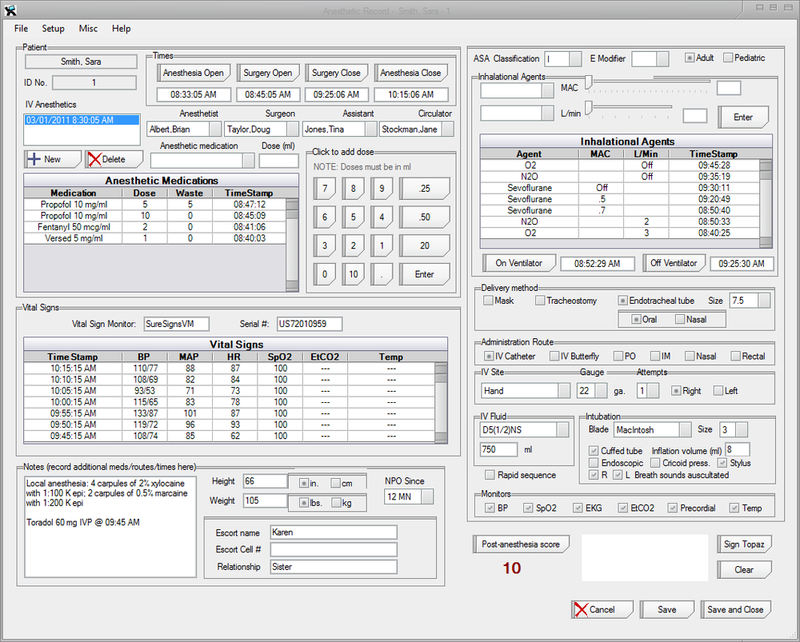 Big Idea Software, LLC, today announces the commercial release of version 7.2 of its Electronic Anesthesia System (EASy) for the Open Dental Practice Management System. "Today I am proud to announce the official release of our Electronic Anesthesia System (EASy) for the Open Dental practice management software system. 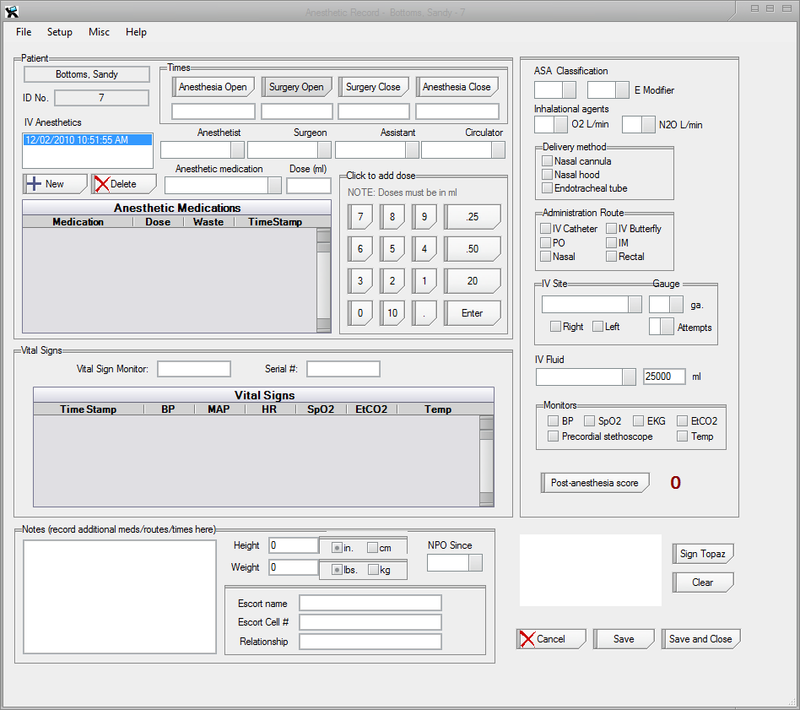 The EASy Anesthesia system provides a full-featured electronic Anesthetic Record and inventory management system for dental and surgical practices that greatly simplifies record keeping, reduces errors, and is capable of importing vital sign data from HL7 network capable vital sign monitors directly into Open Dental." The software is compatible with all Open Dental 7.2 - 7.5 series releases, and is available for download from the Try section of the website as a free fully functional 30 day trial. It retails for $1249 for a 10 PC license pack. 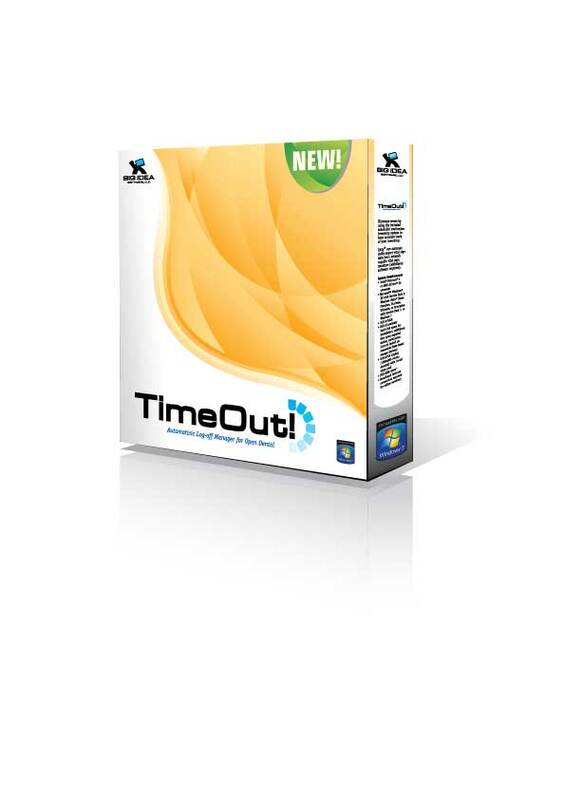 With TimeOut!, you no longer have to worry about employees forgetting to log off, or privacy concerns in common areas such as operatories. TimeOut! is highly configurable, and easy to set up. 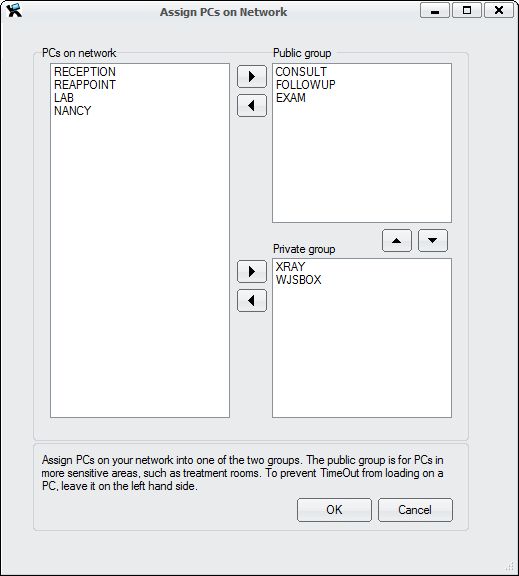 You can manage all the PCs in your office from a single admin screen, and it has different settings for PCs in public areas, such as treatment rooms, or private areas such as the front desk or business office. You can even exclude PCs if you wish. TimeOut! is compatible with all Open Dental series 7.2 -7.6 releases, and sells for $79.95 USD for a 10 PC license pack, which should be sufficient for most dental offices. Additonal 10 PC license packs are $19.95 USD. It's available as a fully functional 30 day trial in the Try section of the website.